VERSATILE COMBO AMP WITH 5 AMP VOICINGS, CUSTOMIZABLE EFFECTS AND EDITOR SOFTWARE. USE THE BOSS TONE STUDIO EDITOR SOFTWARE TO CUSTOMIZE YOUR EFFECTS AND AMP SETTINGS. GUITAR AMP. AMP CHARACTERS INCLUDE CLEAN, CRUNCH, LEAD, BROWN AND ACOUSTIC. Despite its full mid-range response, this speaker is often the choice of players looking for a bit of mid scoop, as its low and high frequency response can be accentuated when in an enclosure. Voice coil material: Round copper. Die Box ist für sein Alter im guten Zustand und war kaum in Gebrauch. Der vordere Deckel ist selbstverständlich mit dabei. Funktion ist tadellos. Die Box wurde kaum benutzt, weshalb ich diese auch verkaufe. Includes Chassis, tubes, reverb tank and cables. This is a great sounding 1x12 combo amp. Would be a great pedal platform for a gigging musician. 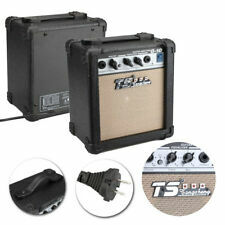 The amp is a 22 watt Class A tube amp with reverb. The power tubes are EL84 and 12x7 preamp tubes. The amp has been tested and works as it should. It has been very gently used and is in excellent condition! 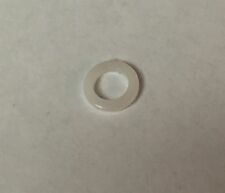 Voice coil material: Round copper. Chassis type: Pressed steel. DC resistance, Re: Available 6.9Ω or 11.8Ω. Power capacity: 70W. If you're ever passing through Northwest Florida, be sure to stop by and say hello! (Wir behalten uns die Erstattung von uns entstandenen Kosten vor. BGB) gewährt Fa. Das Rückgaberecht besteht nicht in den Fällen des § 7 Absatz 5 und 6. Die Ware muss sich in einwandfreiem Zustand befinden (komplette und unbeschädigte Ware, Bedienungsanleitung etc.). Ampeg V4BH Tube Amp. Condition is Used. Feel free to make an offer. I will pull the listing down and discuss with you. Great condition, great tones with working reverb effects. Neues AngebotSUNN CONCERT BASS AMP HEAD AMPLIFIER VINTAGE & GORGEOUS !! Why. buy any other Sunn Concert Amp after seeing this one ???. To start with this one is very clean. No issues. It works Fabulous. 5F1 Built Larger for 10 inch speaker. 5f1 Covered Cabinet. 1x 10" Speaker. 11- Inside cab Black. 12 -'Floating Baffle' painted black. 2- Baltic Birch for Baffle and Back Panels. 4-Stainless screws for back panels. 8 -Black raised leather handle. One-watt single-channel amplifier. This miniaturized version of the Tone-Master boasts glorious tone for its size, along with authentic looks to match. 1/4" headphone jack and 9V adapter jack. REAL SUPPORT. Folks I made a mistake on the model. No modifications to the amp are necessary, the module simply plugs into the top of the amp as shown in the picture. SWR Baby Blue Bass Amp Combo. Includes original SWR Studio Reference owners manual. The SWR Baby Blue is a clean, balanced reference-caliber bass amp, ideal for studio and small/acoustic venues (this one was owned by a prominent Nashville session player). Dynacord MV 15 - Röhren-Amp -von 1956. The 100-watt MG100HCFX head includes four switchable channels and a 3-band EQ. 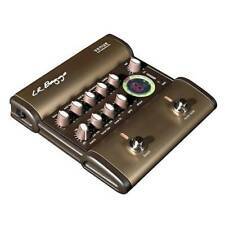 It also features a 2-button footswitch, power amp damping, a switchable effects loop, and a line-in for music players. This amp is excellent at emulating the response and sound of a tube amp, and it works great for your live and studio applications alike. Acoustic 150 Bass Amp Slightly Used, Working Condition. Slight cosmetic wear. Works great! So just letting this guy go. It's a great sounding little amp and the models are pretty great. You can also download an app that lets you save presets and all. Up for sale is a used Bad Cat Black Cat 15R head. Head is in great condition, very pretty amplifier and sounds AMAZING. It has Reverb as well, which is an upgrade. Very well made in USA and hand wired. For your consideration is a gently used Marshall Studio Classic SC20H JCM800 20 Watt Guitar Head. The quick “why?”. 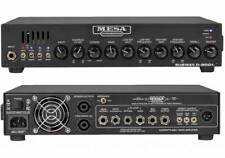 - A two channel amp is what I’m used to and will better suit my gear needs. and although I’d love to keep both, one has to go. Separate 3 Band EQ und Effekt Regler pro Kanal. Geringste Gebrauchsspuren (keine Kratzer oder Macken!). CD / AUX-Eingang. Farbe: Holz. You need the HeadRush FRFR108 2000-Watt Powed Speaker. HeadRush FRFR108 2000-Watt Powed Speaker – Key Features You’ve found the HeadRush FRFR-108! - HeadRush FRFR-108 Speaker. That’s why we focused on the key features you demand. 4 matching Celestion G 12 S Speakers which are all markedwith the code CF28X which dates them at 28th March 1973. I run a 1973 JMP20 through one of these cabs for recording. Der Mark III funktioniert tadellos. DasCombo ist in einem guten Zustand. Persönlich Abholung sowie anspielen ist möglich. Condition is Used. H a s s c r a t c h e s o n top b u t g o o d w o r k i n g c o n d i t i o n.
Fender Rumble 350 Watt Lightweight Bass Amplifier. Condition is Used. Shipped with USPS Retail Ground. Like new with cover, switch. Up for sale is my Marshall MA50H 50w head. In perfect working order. Great sounding amp!! Selling as I'm down sizing. Please note 2x12 cab is not included. Head only! Collection available, can also post but please send a message first to discuss postage prices. 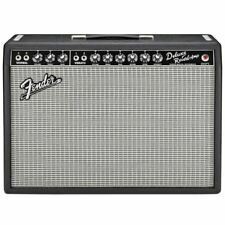 Fender Blues Deluxe Reissue 40 watt Guitar Amp. Condition is Used. Shipped with USPS Parcel Select Ground. Known for using a variety of gear to create interesting layered tones, Geddy has included the SansAmp RBI and/or the SansAmp RPM in his rig since 2001. Wanting to streamline and simplify his gear for new projects, Geddy partnered with Tech 21 to design a signature SansAmp, the GED-2112. The look you love is here, too, courtesy of a genuine lacquered-tweed covering and a striped oxblood grille cloth. We call this our Direct Recording Combo Amp. The heart of the crafty Trademark 10 is a modified version of the super flexible SansAmp GT2 pedal design. The 10-watt output is plenty loud for practice and monitoring but the balanced XLR and 1/4” outputs bring the big tones of this little combo to the studio mixer or PA system. We have for sale a Roland Jazz Chorus 120 Guitar Amp. This piece is tested and working fine. Heavy wear to the body including scratches scuffs nicks dings, holes or missing screws/parts and tears as pictured.